c. 1972. Classic large (26") globe TV, a Decca 'Bradford' hybrid chassis in a fantastically 'retro' fibreglass cabinet. Not restored but the CRT is good, convergence board fault but well restorable. c.1953. 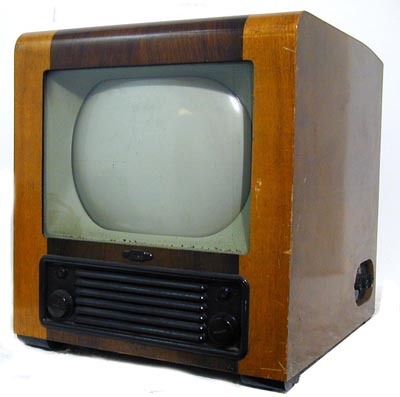 Quite a nice looking set with a bakelite front and plywood cabinet body. 12" tube, very clean condition, partially restored, I believe it is working, tube OK but the EHT is low. Not a common set, wood part of cabinet has been stripped and refinished but the condition of the set would warrant doing it again a bit better. 1954. 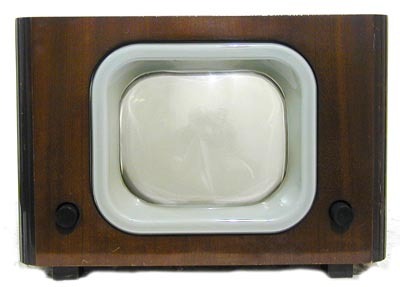 14" table model, pre-set bands I & III switchable on the side, released in advance of ITV frequencies being confirmed. A popular set to restore, one of the most robust and reliable sets. All original and complete, cabinet a little scruffy in places but not at all bad, will make into a nice set. 1950. Neat, small console set, 9" tube. It has the later type IF strip, looks all original and in clean condition - very good cabinet. 1952. 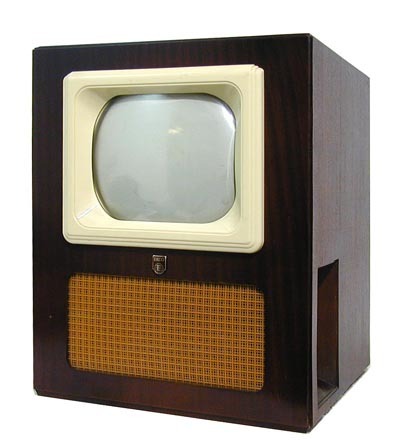 'Dan Dare' styling bakelite cabinet 12" TV. 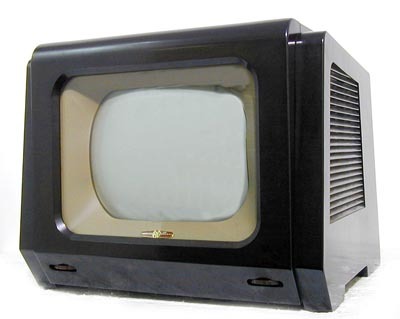 Effectively an FV1 in a bakelite case, no doubt meant to compete at the lower end of the market with the TV22, but presumably not successfully as it is much rarer. Lovely example, very clean and free from cracks or damage, looks a nice set in very 50s style. 1949. This is one of the nicest TVs we have had for a while. The condition is as good as they get. The cabinet is excellent, back has all original screws etc, and it should need only a good overhaul (capacitors etc.) to get it working properly. 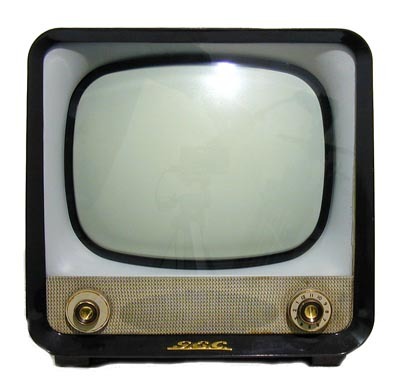 The CRT is good and it gives a raster and shows signs of working on sound and vision. Has the early chassis with EF50s and octal valves, mounted sideways in the cabinet. This is a very small, neat console- it can be lifted easily and stands less than 3 ft high. You won't find many like this. 1956. Very original set, with a very good, virtually mint cabinet and a known good CRT. These are a good set to restore, as they work very well and are pretty reliable. This is a very clean original example. 1952. 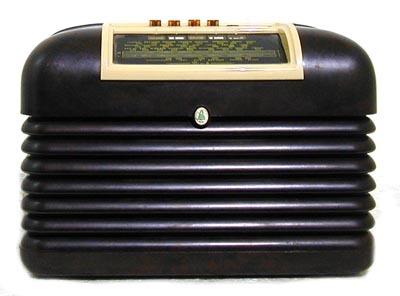 Unusual radio/TV combination, 12" Mullard tube, retains the 'Queen Anne' legs and styling they had used since the 1930s. Very good original set, quite rare. The radio is a separate unit, using the 851U chassis. A nice piece of furniture and an interesting set- not too big either. 1949. Very neat little 9" table set, quite hard to find. 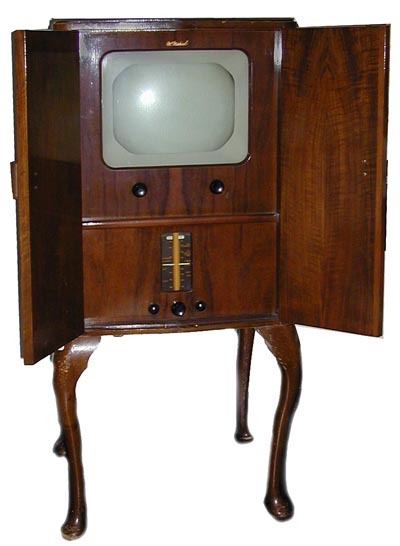 The cabinet has been repolished well, it is generally in very good condition and is not far off working- displays a cramped raster but it shows that the rare CRM92 tube and LOPT must be OK. 1940s televisions are quite rare and increasing in desirability so this is a good find. 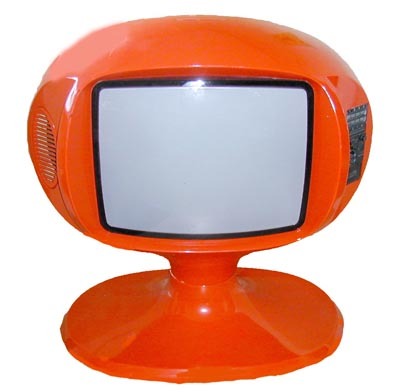 Classic bakelite TV set, made in large numbers from around 1950-54. 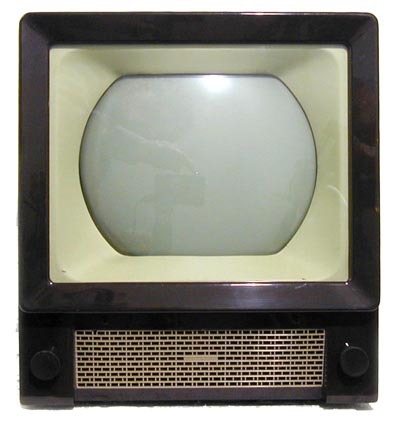 Now an icon of TV design. No cracks or damage, very good clean condition, CRT is known to be good. Has Bush Band 3 convertor on back. 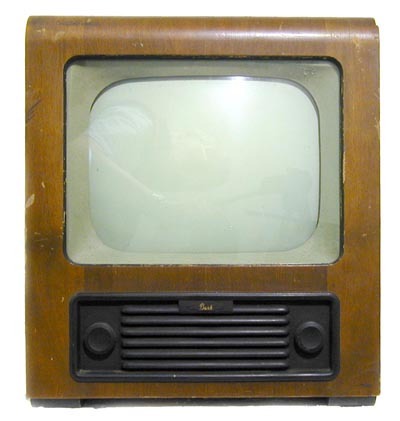 1938/9 5" TV/Radio. Unmolested very original set, appears to have never been worked on. Very clean cabinet, all correct and original. 1954. 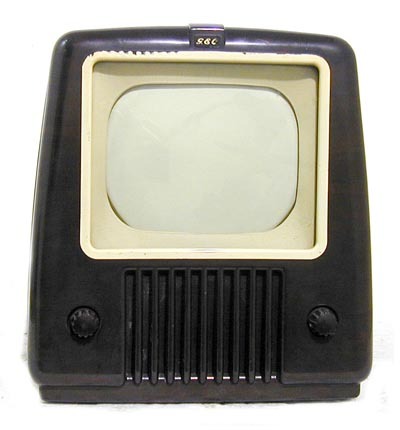 This is an unusual version of the TV24, one of the last in the series which was an evolution from the TV11 of 1948. It has the same basic chassis as the others but has a Band1-3 switch on the side, with a built in tunable range on each band. 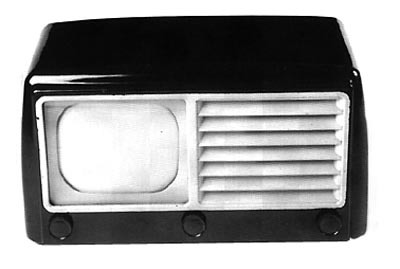 This was an interim feature enabling the model to cover the new frequencies when they were implemented in 1955. (Was it sold as 'ITV -Ready' ?) Good original condition, looks all complete and would make a good restoration project. 1957. Murphy 17" table TV with controls under flap on top. Bent plywood cabinet, quite stylish and one of the first sets to use this style which quickly caught on. Good condition. 1952. 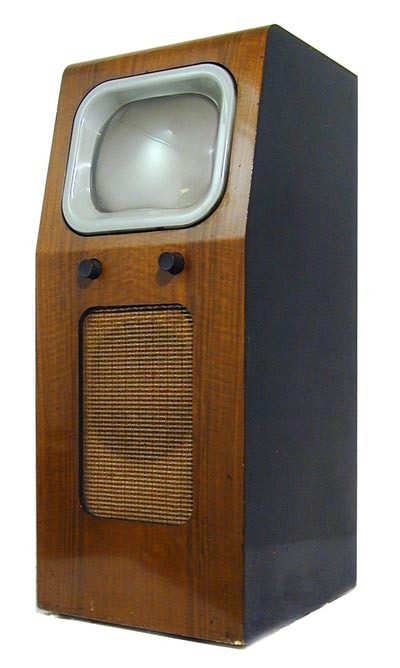 Well known model, similar to the TV22 but with a 12" tube in a wood cabinet. A very good restoration prospect, all looks good and in original condition. 1948. 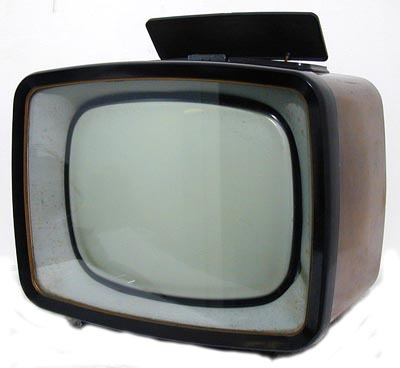 Very rare high quality12" console TV by this famous manufacturer. 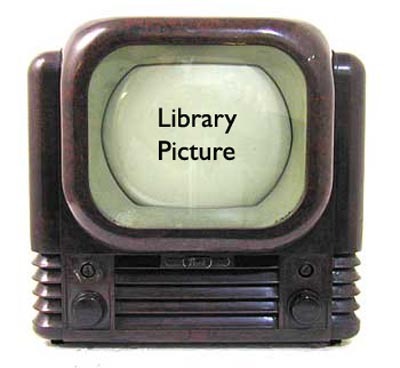 As illustrated in "Historic Televisions and Video recorders" by Michael Bennett Levy- (this is the actual set shown.) 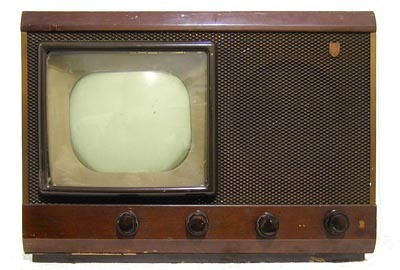 The same chassis was used in the huge TV/radiogram that we had a few years ago, formerly on display in Roberts Radio's boardroom. 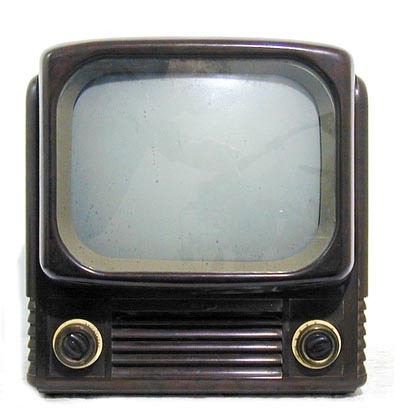 The TV21 cost £160/8s/4d in 1949- a huge sum, sufficient to buy a terraced house in some parts of the UK. Good condition, except rubber CRT mask has deteriorated. 1948. Interesting bakelite cased set using many pre-war type design features. These are hard to find in this good clean original condition with no cracks or damage and a good back and mask. 1949. Rare Birmingham only 9" model, very nice looking cabinet, very good clean condition. 1949. A 9" table model in bakelite cabinet, good clean example. 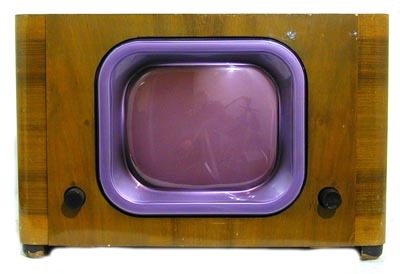 Rarer than the TV22 , not as iconic but very cute and unusual. All original. 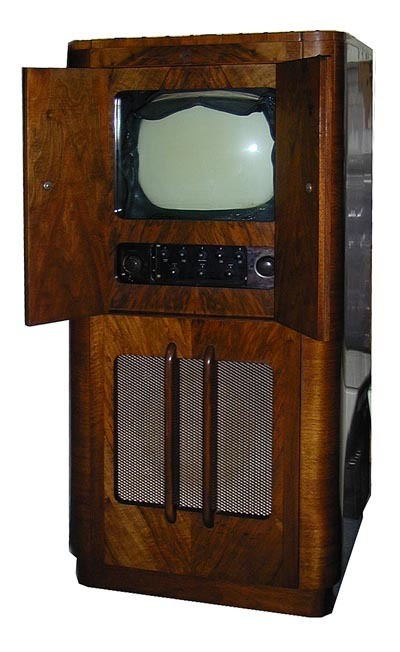 1949/50 Early LV30, in same style of cabinet as B18T. EF50s in the RF stages. Good clean original condition, very neat little set. 1948/9. 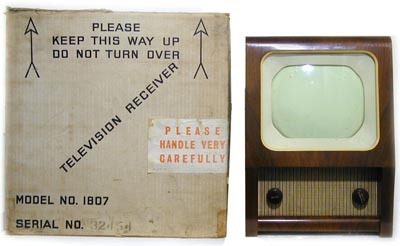 Early post-war 9" table TV. Very compact, but uses mainly Octal or EF50 valves. We have 2 examples, both in good clean cabinets, each has good and bad points if you are thinking of restoring- too complicated to explain here but contact us for more details. 1957. 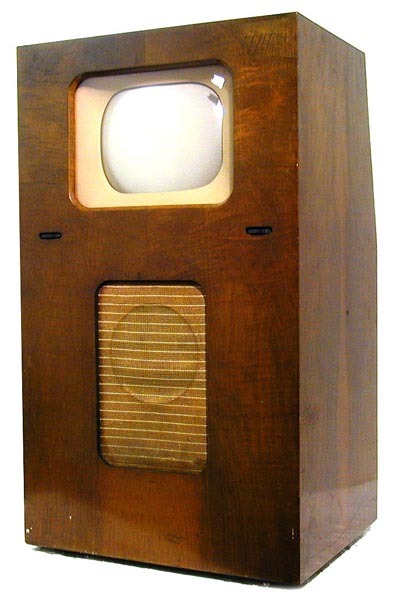 Unusual bakelite cabinet TV, 14" screen, quite an attractive little set in very clean original condition. Ekco TS46 1948. This set uses effectively the same chassis as the TS48 mirror lid, but with a 9" tube it is a fairly compact table model. Good clean original condition, complete, untested. 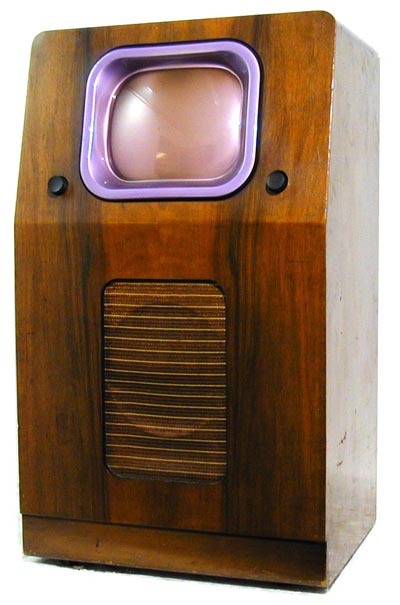 Telefunken c.1977. Bright Red! Not a Keracolor, but very like it, if anything even funkier. 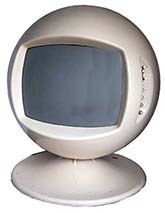 Similar fibreglass shell housing what is a conventional solid-state 70s TV chassis. It is more of a rugby ball shape than a football, quite a big lump to move and very heavy. Not tested but looks OK, and does need some cosmetic attention but could be a good investment for the future.